Steve Clark came in to Columbus as a relative unknown here in the US but most expected good things from him. From the looks of it, he's done just that. Before we get cooking; Not going to dig too deep into things (shot locations, expected goals, etc) but will touch on some key points. First off is basic passing. Gregg Berhalter prefers to play possession out of the back. What the table below shows is that Clark leads (as of last week) the league in passing accuracy while making the 3rd most passes per game. All these guys have played in over 900 minutes. Again, because it bears repeating, the Crew like to roll the ball out or play back through Clark to switch fields. What's not available to me is how often 'keepers play it deep specifically (off foot or long throw) but a general observation tells me Clark is good when throwing long. Up next is going to be a dump of a little bit of every thing goalkeeper. Important to note that none of these stats below include penalties taken or saved (I feel that is making poor an already misleading Save % stat). This table is sorted by % but also includes how many shots, saves, goals against total and average per 90 minutes (through yesterday). There is a lot to pull for this chart like how Eric Kronberg has only faced 53 shots (a testament to the defense in front of him). Another note is how well Bill Hamid seems to be doing. Clark's save percentage is slightly above replacement - and that is good. He's absolutely made some amazing saves this year. After watching Clark now for 22 league games I gotta say that his best strength is working, communicating and organizing moderately complicated back line system and working well with two Internationals (Parkhurst seems like an easy going guy but the wrong guy behind him and I'm sure we'd know). On top of that there have been some lineup changes of late. 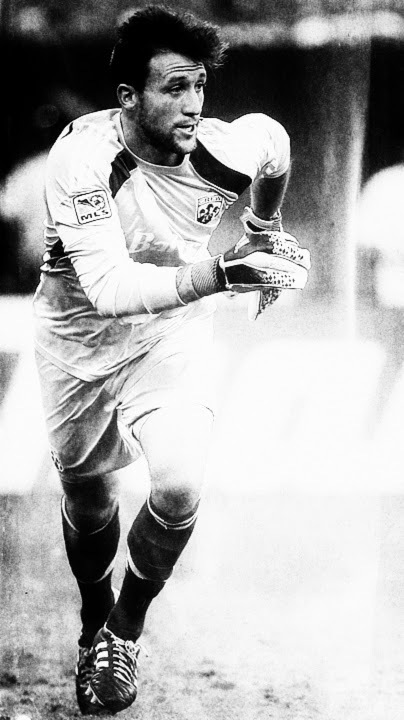 The Crew did a risky thing by letting long term 'keeper and fan favorite Andy Gruenebaum go (Andy has played well in his 450 mins this year) but it was something that as time passes will be a good thing as far as getting new faces and attitudes heading up the franchise. Looking up and down this MLS 'keeper list I see some pretty bad performers, that contribute to some poor results. You absolutely cannot overlook a good 'keeper. Great distribution, plays Berhalter's system, no personality problems, acts like an adult on the pitch and plays like he wants to be out there. With thin margin for error at the GK spot, Clark is absolutely an A+ signing.